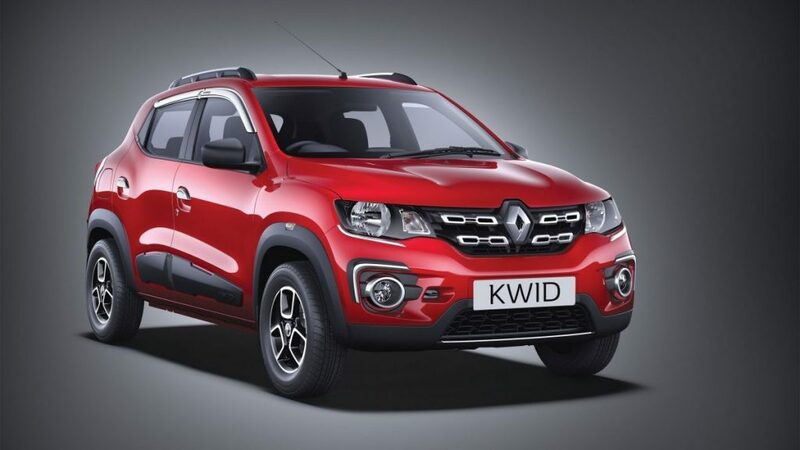 Renault launched the KWID recently and it quickly became popular in this segment because of its one of a kind feature and the out of the box Crossover type styling never seen before in a hatchback segment. Maruti who has completely changed the game with their product Alto has a 1.0 Litre engine placed under the hood of the K10, while the Korean automaker Hyundai too has a powerful 1.0 Litre variant of the Eon as well. Interestingly it is a hatchback with the powerful drivetrain, the 1.0 Litre unit uses a completely new 1.0 Litre SCe, three cylinder motor which will produce about 68 Ps of peak power and 91 Nm of torque. The engine will come paired to a 5-speed manual transmission as of now but it will also get an AMT transmission as well later. This power figure looks identical to its rivals but the KWID is actually a lightweight hatchback which will definitely help its fuel efficiency as well performance at the same time. According to Renault, the KWID 1,0 Litre unit will be able to return an impressive ARAI tested fuel efficiency figures of 23.1 km pl. The AMT variant of the new variant of the KWID will be dubbed as the KWID Easy-R. The interesting part is that there is actually no gear stick but a knob positioned just below the infotainment system of the AMT equipped variant of the KWID. There are three driving modes including Reverse, Neutral and Drive modes. Renault says that this innovative system was taken from their Formula 1 experience and technology. Discussing safety features, unfortunately, the more powerful KWID too will only get the driver side airbag as optional and not even a passenger side airbag. As far as the other safety features are concerned it will lack out on ABS as well as EBD. Talking about the cosmetic changes that we noticed in the powerful 1.0 Litre KWID variant well! There was none actually. Yes the new 2016 Renault KWID 1.0 Litre hatchback looked identical to the standard KWID hatchback. The only difference that we noticed though on the exterior of this hatchback came in the form of a new 1.0 Litre sticker positioned on the front hood as well as towards the C-pillar of the hatchback. Besides the sticker, there were no other noticeable changes on this variant. To everyone’s disappointment, the more powerful KWID hatchback variant won’t actually get any major change inside. The new variant, however, will get dual tone dashboard with a touchscreen infotainment system with the integrated navigational system, USB, Bluetooth and AUX in the feature. The hatchback will also feature two front speakers, remote keyless entry and central locking and also a foldable backrest. The best thing about the KWID is that it gets an impressive 300 Litre of boot space at the back while there is plenty of storage space inside the cabin as well. The new variant of the KWID will definitely fulfil the need of those buyers who want an entry level powerful hatch which they could also actually take for long drives or weekend trips. But the some of the key features will be offered in high-end variant only, so choose the right one and enjoy the utmost ride with silence.